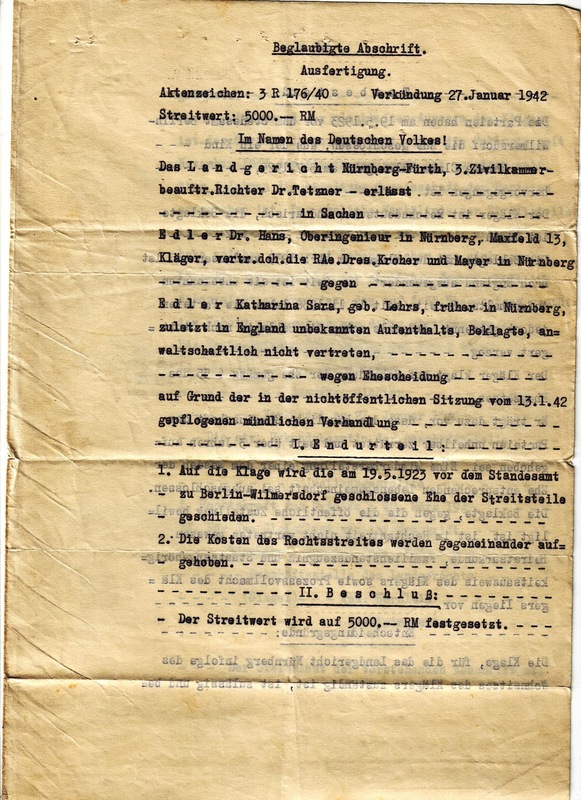 The House on Schellberg Street : Revisiting Original Documents – a Nazi divorce? 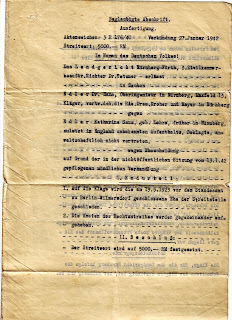 Dr Hans Edler, an Aryan German, filed for divorce on 27 January 1942 from Katharina Sarah Edler (daughter of Clara Lehrs and mother of Renate Edler) a Jewess. The decree nisi was granted on 20 March 1942 and the decree absolute 14 July 1943. The divorce was granted “in the name of the German people”. Interestingly the document contains some errors. Firstly, Katharina Edler was not Katharina Sarah Edler but Katharina Theresa Edler. All Jews were assigned a middle name of Sarah or Israel if their other names did not sound particularly Jewish. More bizarrely, the reason given for the divorce was that Kathe Edler had left the family home on 15 November 1938. However, we know from a letter written by Renate to her friends from the Wilhelm Löhe School that just a few days before Christmas she and her mother were packing suitcases in Nuremberg. Could this have been confused by the officials drawing up the papers? This date was quite soon after the Kristallnacht. Perhaps they considered it likely that a Jewess would abandon her Aryan husband at this time. Hans Edler could have been confused, though this is the least likely explanation. It may well have been a story contrived by him to protect himself as well as his wife and daughter. The papers say that she was not heard of again after and that no address was known for her. Hans Edler would have certainly known the address in Stuttgart of his mother-in-law. It is also likely that he would have known the earlier addresses of his wife and child in England. However, Kathe and Renate stopped writing to all of their German acquaintances in order to protect them: it could have become difficult for their German friends if they were known to be corresponding with Jews – especially after the war began if those Jews happened to live in England. The divorce looks quite nasty. However, we have some clues that it was inevitable but unwanted. 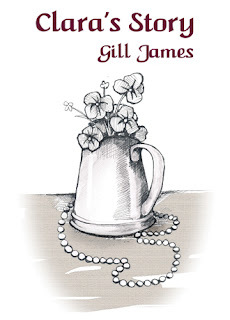 In Renate’s account of how she finds out that she is Jewish and that she has to go to England, she reports that her mother says “But your father cannot come,” hinting perhaps that he would if he could. Hans Edler certainly could not go to England. He worked for Siemens and was involved in weapon design. He knew too much. He did remarry, and Renate says in her letter to her former classmates, that it was just as well; after all the years of separation it may have been tricky for her parents to get back together. Her mother, anyway, had become quite English. There is an implication that they had intended to try to get back together after the war.